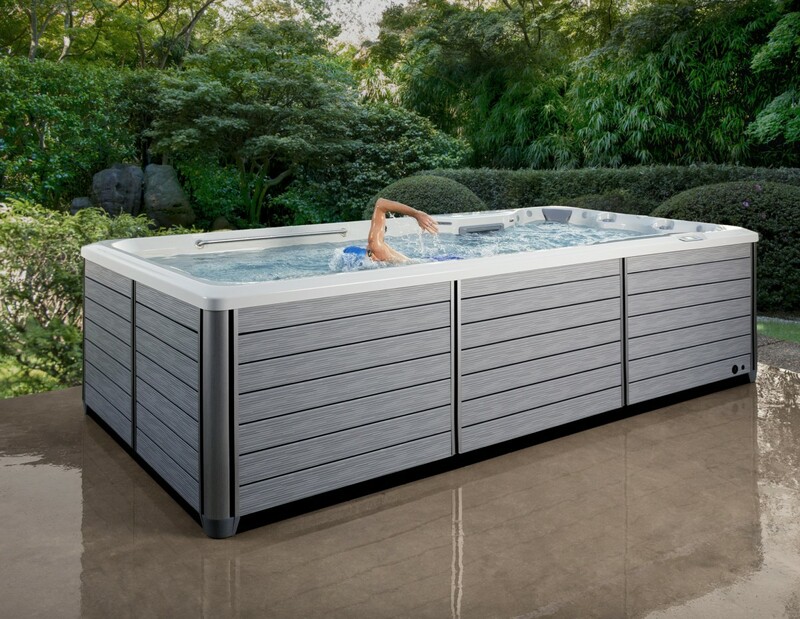 This new 6.10 m, dual temperature model provides families with an affordable option to enjoy the benefits they desire for swimming, exercise, family time and relaxation. The X2000 features the largest exercise space yet! The 4.58 m swim area features the SwimCross fivejet swim system, which not only provides a great quality swim, but creates more space for exercise and family enjoyment. The five swim jets are driven by two, 2.5HP pumps that provide a steady stream of water and variable speed, much like the current SwimCross jet system. 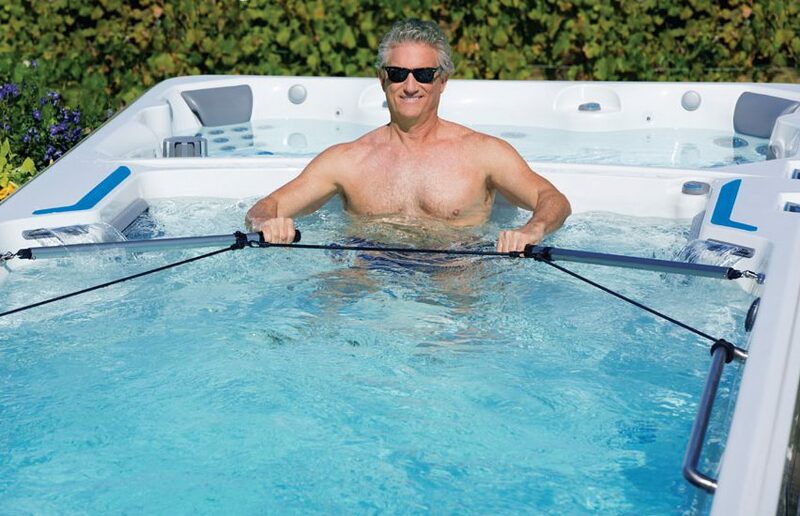 The separate 153 cm spa area has 34 hydromassage jets operated by a two-speed, 2.5HP jet pump. Both the swim side and the spa side are operated by independent controls, giving customers flexibility to control water temperatures in both the swim and spa areas. Measuring 6.10 m (20-foot) long and 148 cm (58 inches) deep, the X2000 is the largest model in the SwimCross Exercise System line. The spa is the same configuration as the E2000, with four comfortable seats and unique jet configuration for the ultimate experience. In the exercise area, grab rails make it easy to attach resistance exercise gear and can be used for balance during various exercise routines. The X2000 swim side features a dual water purification system that combines Ultraviolet C (UVC) with eco-friendly CD Ozone. This results in crystal clear water requiring fewer water care products. Continuous flow from the circulation pump, coupled with 18 m2 of filtration, ensures ease of maintenance and water that is always clean. On the spa side, CD Ozone combined with a dedicated filtration pump and 5 m2 of filtration, helps keep water fresh at all times. As with all X-series models, the X2000 comes factory wired for 2 times the single phase 24A. The X2000 has two heater systems that operate independently. Users can enjoy hot water relaxation on the spa side after a workout in cooler water on the swim side.